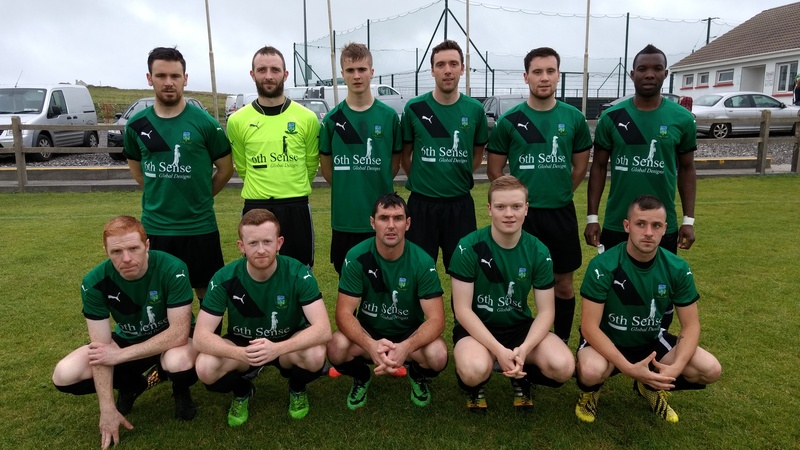 Erris United and Ballyheane had to make do with a share of the spoils, in a thrilling 10 goal Super League encounter at Carne Nash Park Saturday evening August 13th, Final score: Iorras Aontaithe 5 Ballyheane 5. Erris opened the scoring on 4 minutes, from a Jimmy Tighe corner, with David Reilly heading home at the far post. But on 11 minutes, Ballyheane were back level with a Cyril Guarde free from the edge of the area. One minute later, Pearce Sweeney made it 2-1 to Ballyheane with a penalty. On 20 minutes, Mikey Togher had Erris back level again from a Jimmy Tigher corner. Erris Utd finished the half in front at the break 3-2 from a Ivan Barrett effort on 30 minutes after great work from Jason Boylan and Mikey Toghe. But on 33 minutes Iorras Keeper, Aaron Carey pulled off a great save from a Ballyheane corner. When the second half resumed, Ballyheane were back level on 53 minutes, when Jack Jenson made it 3-3, but one minute later Kyle O’Reilly had Erris back in front again with a neat header to make it 4-3. Then 2 minutes later Ballyheane were back level from a Cyril Guarde effort, to make it 4-4. Then on 66 minutes, Erris made it 5-4, with probably the best goal of the evening, Jason Boylan sent a cross field ball to Noel McLaughlin, and his in swinging shot from half way out was met at the far post by Brendan Nallen. On 72 minutes, Erris nearly extended their lead, when Jason Boylan’s shot came off the crossbar, but on 78 minutes, Cyril Guarde made it 5-5 from a free on the edge of the Erris area. In the dying seconds of injury time, Erris were denied a penalty, when Brendan Nallen was up ended in the area. 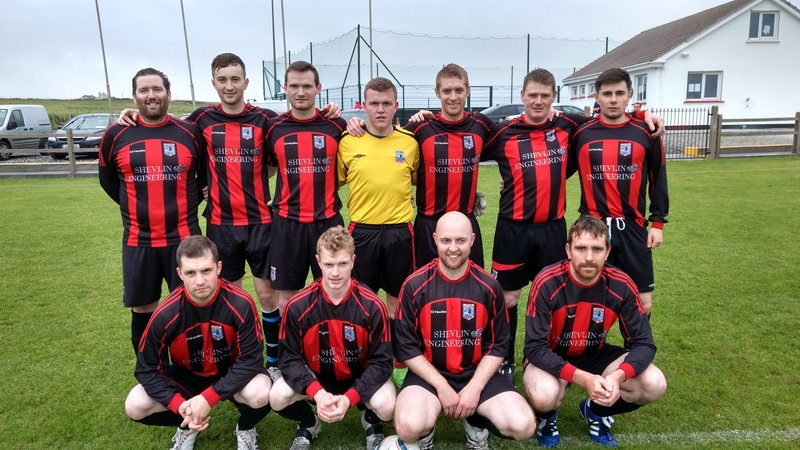 ERRIS TEAM – Aaron Carey, David Reilly, Noel McLaughlin, Stephan Nallen, Diarmuid Healy; Eamon Carey (Capt), Mikey Togher, Jason Boylan, James Tighe, Kyle O’Reilly, Ivan Barrett.